The warmer months of the year may not lend themselves to sharp jackets and multiple layers, but you can still individualise any outfit with the right accessories. A considered, seasonally-appropriate choice offers an effortless way of taking your attire up a notch without sacrificing comfort. Here’s our rundown of the small accents and details you should be considering this spring/summer. An indisputable summertime essential, neglecting to invest in quality shades not only causes your style to suffer, but your eyesight too. Probably the most boring – but absolutely necessary – part of securing yourself a pair of well-fitting, comfortable sunglasses is identifying the frame shape that best suits your face type. While sunglasses might usually be made ‘one size fits all’, not all of the designs available in stores will complement your individual features, so it pays to read up, before you cough up. When it comes to colours and materials, tortoiseshell is a timeless classic that will team easily with everything from a floral short-sleeved shirt, chinos and leather sandals combination to a pair of neatly-cut swimming trunks and loose-fitting marl vest. It also boasts that 1970s-era flair that designers are head over heels for this season – try a round frame if you really want to nail the vintage aesthetic. All-black (frame and lenses) sunglasses are equally versatile, offering a contemporary alternative to tortoiseshell that’s perfectly suited to the guy whose wardrobe is more minimal and sportswear-influenced than tailoring-heavy. Try wearing them with sleek longline vests and T-shirts in cotton or mesh, wide jersey shorts and white leather trainers. Wayfarers and keyhole frames look particularly slick rendered in monochrome. Keen to make more of a statement? 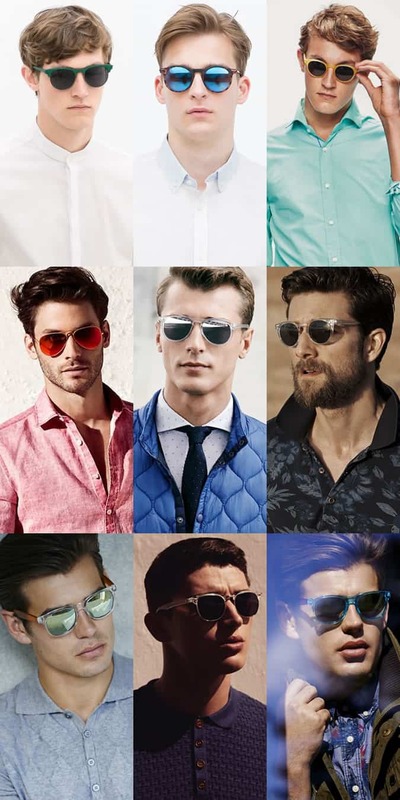 Avoid the potentially kitsch effect of thick, brightly coloured sunglasses and instead opt for contrast coloured lenses, or thin but sturdy frames in sunshine yellow, fire engine red or bright blue. Another, more subtly striking option comes in the form of clear acetate frames – when combined with mirrored or dark lenses, they cannot fail to garner attention. While statement scarves – ‘mankets’ if you will – may be gaining some traction, there’s little sense in covering yourself in swatches of fabric once the sun’s out. Throughout the spring/summer months, scarves aren’t so much heat retainers as purely aesthetic accents to complement the rest of your look. So, switch to thinner, more compact designs which are lighter in weight and won’t leave you sweat-sodden. That means swapping traditional winter wool styles for breathable versions made from cotton, linen, viscose, silk, and cotton-blends. In terms of length, a warm-weather scarf needs to be long enough to wrap neatly, or drape loosely, around your neck, but shouldn’t fall much lower than the top of your thigh. Pair cotton and linen designs with suits in similar warm-weather fabrics, or create summer-ready casual looks by teaming with a short-sleeved shirt, rolled-up chinos and some leather sandals or boat shoes. If you desire something a little dressier, a silk or viscose scarf will bring a hint of understated luxury to your formal attire, whether you’re dressing for the office or a spring wedding. Plain colours work well for building head-to-toe tonal outfits, while prints – particularly classic floral/paisley, polka dots and check motifs – will help add a point of interest to an otherwise pared-back look. Vital for adding that final flourish to your tailoring, the pocket square is now considered a modern day essential. For spring/summer, swap dark hues for brighter shades and don’t be afraid to experiment with print and pattern. Much like lightweight scarves, plain pocket squares can be used to finish off full tonal looks (which, by the way, are easily achieved in shades of grey, off-white, blue, and burgundy) or add a point of contrast to your tailoring – for example, a burgundy pocket square with an off-white suit or a light grey pocket square with a navy suit. Alternatively, plump for paisley, polka dots, understated animal prints, and punchy or muted florals to give neutral tailoring a much-needed lift – perfect for dress-down Friday or smart-casual occasions. As for material, a silk pocket square is a classic and timeless choice that will get good use year-round, while many brands are also offering 100 per cent cotton versions that feel seasonally-appropriate and provide a slightly more textured, matte finish. Marwood has even produced a handmade cotton-mesh version (available in ecru and black) for SS15 that is unlike anything else we’ve seen on the market. Its netted texture is sure to make it a talking point at any event you attend this season. Although plain leather versions in neutral shades like black, brown and navy work year-round, it’s during the sunnier months that you can afford to branch out a little with your belt style. Woven belts are particularly season-appropriate, with suede versions offering a rugged charm and fabric designs being the perfect addition to fair-weather nautical looks – think a Breton long-sleeved T-shirt, slim-cut chinos and boat shoes. Cotton twill styles also offer a more casual, beach-ready alternative to traditional leather options, while nylon webbing belts perfectly complement sporty or technical outfits, like a lightweight hooded jacket, T-shirt and chino shorts combination. If the above options are all a little too safe for you, try something more boldly branded like a logo buckle. Bear in mind, however, that while these are just the thing to make a statement in hot weather when you have very little clothing to play with, they’re also precariously positioned on the border between tasteful and tacky. So, choose your belt wisely, and always integrate it into an otherwise pared-back look, such as a simple white T-shirt and navy chinos get-up. Newsflash, gents: no longer are we forced to choose between going sockless and stinking up our favourite footwear, and wearing a pair of unsightly ankle socks that – no matter how we may try to ignore it – wreck an otherwise carefully-appointed warm-weather ensemble. No-show socks, available from plenty of high street stores including Primark and Urban Outfitters, are big enough to line your feet (and prevent bad odours) yet small enough to sit discreetly below the line of your trainer or shoe, making ankle-baring looks oh so simple. Word of advice: take the time to properly evaluate your no-show socks before buying. Several brands and retailers sell what they like to call ‘invisible’ or ‘no-show’ socks, which are actually still visible when worn with most slimline footwear silhouettes, such as loafers. Also keep your eye out for designs that have internal rubber heel pads for grip, which are invaluable in securing your no-shows over extended periods of wear. Along with jewellery, accessories are an essential addition to any spring/summer wardrobe. 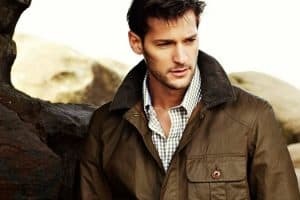 While some of these items may not usually sit at the top of your sartorial shopping list, they really come into their own during the hotter months when you’re tasked with making more out of less. Planning to add a printed or plain pocket square to your spring/summer suiting? Or maybe you have tips on how to source an on-point pair of shades?